My second pregnancy was a little rough on my back so I started getting prenatal massages to help out with my motion and the pressure. The masseuse was shocked that I wasn't drinking raspberry leaf tea. She informed me that it is great to drink before pregnancy to help strengthen your uterine muscles and tone your pelvic floor. This will help you have a smoother labor by relaxing the walls during contractions. It is also helpful after you deliver your baby to get the uterus and pelvic back to their normal stability. I went home and did a little research and found this all to be very true. Where was this information for my first pregnancy? How did I not know about this? 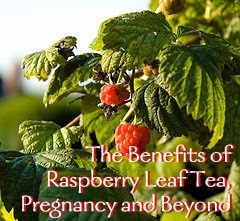 I also found out that when taken during pregnancy, red raspberry leaf is said to boost a mom's immune system, ease morning sickness and promote better circulation. Once new baby is here, some say raspberry leaf tea will assist with breast milk supply as well as help decrease bleeding. Around the world, red raspberry leaf has been used to treat flu, diarrhea, relieve sore throats and aid in fertility. It is also used to lower the blood sugar of diabetic women, regulate irregular menstrual cycles, decrease heavy periods and lower blood pressure. So, having raspberry leaf tea in the house at all times, for all women is quite beneficial! I think I need to start buying it in bulk! Don't be fooled when you see raspberry tea in the store, it is usually just raspberry flavoring (organic or not). You need to look for Red Raspberry Leaf Tea, it is just made with the leaves of the plant so it actually tastes more like a green, earthy tea than raspberries. Some health food stores will carry loose tea or you can buy it online at places like Mountain Rose Herbs. 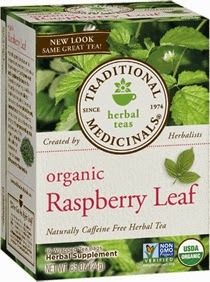 I have been able to find it in tea bag form at a few stores around my area by a brand called Traditional Medicinals. Bring water to almost a boil, add tea and let stand for about 7 minutes before enjoying. Bring water to almost a boil, add tea and let stand for 5 minutes then put it in the fridge to cool. 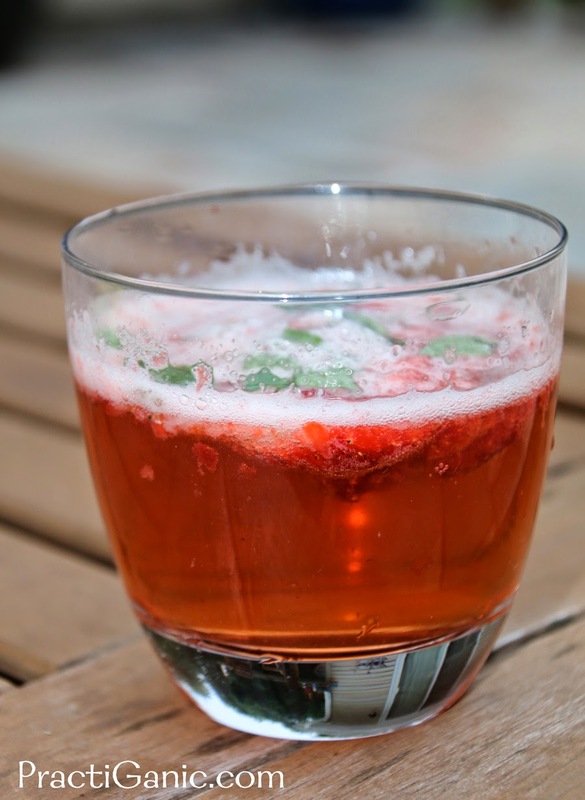 Meanwhile, muddle your lime, berries and mint in a glass and add your sparkling water. 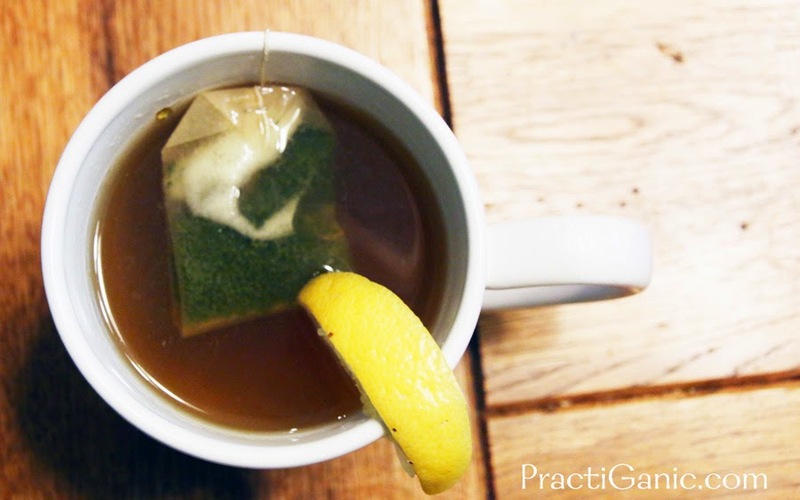 Once your tea mixture is cool, remove the tea bag or loose leaf tea and add it your muddled concoction. Enjoy! I will make a big batch of tea in the beginning of the week and leave it in the fridge so it's already cold and I can add it to my mixture when I'm ready for it.